Green vegetables are a good source of nutrition and the most common ones that are consumed during pregnancy are dark green leafy vegetables as coriander, spinach, celery etc. Just like other green vegetables, water spinach is nutrient-dense and beneficial for the skin, brain as well as body. Pregnancy is a time when the body needs adequate nutrition which is a necessity for the growth and development of the baby. Water spinach has ample quantity of water, vitamins, iron, and other nutrients and it can be eaten in raw or cooked form. It is majorly used in the preparation of salads and other dishes to increase the nutrient quality. The water spinach juice is also very good. It is a very healthy option. It is widely used in the preparation of medicines as well. Before adding water spinach to the diet, it is important to know its nutritional intake, health benefits, side-effects, its safety as being consumed during pregnancy etc. Water Spinach is a tropical plant and semi-aquatic in nature. It is a vegetable known for its delicate leaves and stems. It has slender and hollow stems which have long, flat and arrow-shaped leaves. The flavor of water spinach is similar to spinach but it has a mild and nutty texture, the leaves are delicate and sweet in taste. It is a nutritious vegetable and has many benefits for the health of the mother and the baby. Is Water Spinach Safe To Eat During Pregnancy? Since the water spinach is enriched with folic acid, having water spinach in the first trimester is very important and even safe as it can help in the prevention of neural deformities or birth defects related to spine and brain. It has a good nutritional base and safe for the expecting mothers. It also helps in reducing the blood sugar levels and also reduces hypertension which is a common symptom during pregnancy. What Are The 10 Benefits Of Water Spinach During Pregnancy? Helps In Prevention Of Birth Defects: Spinach is enriched with folate that helps in protecting the fetus against all birth deformities. Reduces The Chances Of Premature Delivery: The folate content in water spinach helps in reducing the chances of the premature birth of babies and also avoids miscarriages. Helps In Preventing Anaemia: Intake of water spinach helps in ensuring a healthy supply of folate as well as iron and also assists in preventing anemic conditions. Rich In Folic Acid: Since spinach is loaded with folic acid it helps in preventing gingivitis, loss of appetite, irritation, and monotony which happens due to the deficiency of folate. Assists With Lung Development: The beta-carotene present in spinach is helpful for the developing baby’s lungs and also for the weight gain. Alleviate Constipation And Haemorrhoids: The fiber content present in spinach is good for the bowel movement and also helps with constipation and reducing the occurrence of hemorrhoids. Offers Pain Relief: Pregnancy is a time when the whole body due to hormonal changes and increasing weight is in pain and since spinach has glycolipid which is also anti-inflammatory, it helps in offering cure from pain. Helps In Strengthening The Bones: Calcium is required for healthy and strong bones of both the mother and the baby, calcium present in spinach offers the strength for the bones and the teeth. Boosts Immunity: Due to the rich content of calcium in spinach, the immune system becomes stronger and the body is able to fight the infections. Nourishment For The Eyes: Due to the rich content of vitamin A, it is good for the eye health and helps in reducing the signs of cataracts. Does Eating Water Spinach Cause Varicose Vein During Pregnancy? Varicose veins are a common symptom during pregnancy as the increasing weight of the uterus exerts pressure which leads to increased pressure on the veins of the leg. The varicose veins increases in case the pregnant women put more pressure or has multiple pregnancies or more babies. It also aggravates if one is standing for a long time. Due to the calcium intake, one gets from the consumption of spinach the bones become strong and teeth remain intact which helps in reducing the occurrence of varicose veins. 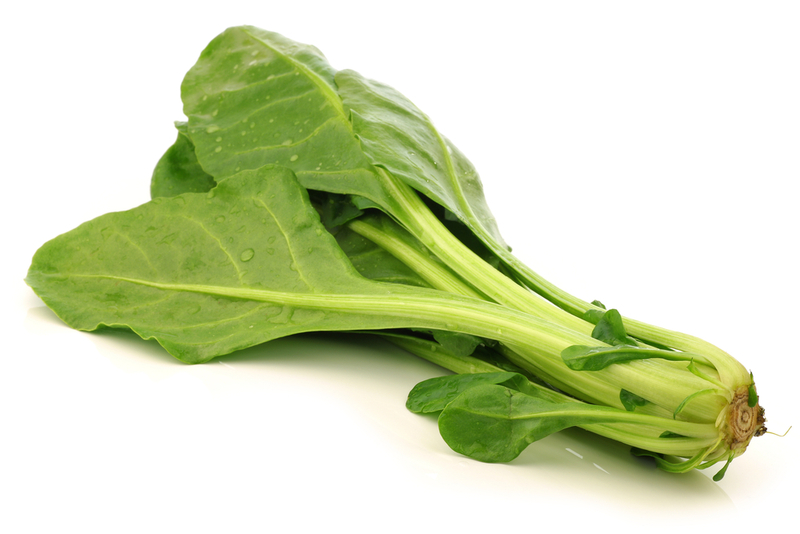 What Is The Recommended Intake Of Water Spinach During Pregnancy? Water spinach is immensely loaded with vitamin A and that is crucial for a healthy skin, hair and even eyes. It is recommended that the pregnant women should consume about two or three servings of vegetables- one from the leafy vegetables. A 100 grams consumption of water spinach is about 6300 IU that is close to about 200% of the daily dose recommended by the doctors. In simple terms, 45 grams of cooked water spinach offers good nutrient value for the mother and the baby. What Are The Guideline To Use Water Spinach During Pregnancy? Water spinach is a nutritious food and extremely good for the pregnant women as well as the baby. It is also used for medicinal purposes. A regular consumption of water spinach also safeguards the mother from diabetes as well as offers strength for the bone development. The hollow stems of the water spinach can be fried with garlic and tempered with butter and kept and used as a crunchy snack. The leaves can be boiled and the juice can be consumed as it helps in curing constipation issues and chewing these leaves gives more fiber as well. Water spinach, when taken with other vegetables, offers sufficient calcium and iron for the growth and development of the fetus. Thus, we can say that even though water spinach might not be the ultimate choice yet it should not be overlooked also as it has a good nutritive lift if added with other foods. The intake of water spinach also helps in enhancing the overall health and well- being and also makes pregnancy a smooth transition.